In a show of our support for the a sugary drinks duty we have written to every MP across the North West of England urging them to attend the debate and to consider the benefits a sugary drinks duty would bring to the health and wellbeing of the region’s children, young people and adults. You may be aware from recent media coverage that the restauranteur and children’s food campaigner Jamie Oliver has been campaigning to build support for the introduction of a duty on sugary drinks. Working alongside Sustain’s Children’s Food Campaign, a parliamentary petition was launched during the summer to build public support for the duty. We are delighted to learn that following Jamie’s ‘Sugar Rush’ documentary, over 150,000 signatures were received and the issue of a sugary drinks duty will be formally debated in Parliament on Monday 30th November. Food Active is a healthy weight campaign, commissioned from local social enterprise, Health Equalities Group, by the North West Directors of Public Health. You can find out more at www.foodactive.org.uk. Food Active acknowledges the importance of the public’s appreciation of the impact excess sugar consumption has on health; particularly regarding the recent WHO and the Scientific Advisory Committee on Nutrition (SACN) recommendations to reduce daily energy intake from sugar from 10% to 5%. Based on the revised guidance for sugar intake, children and young people in the UK are consuming almost triple the recommendations with sugary drinks being by far the largest contributor. 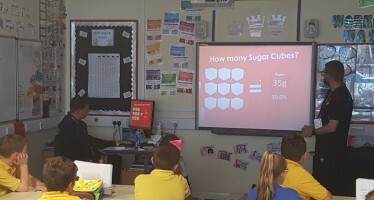 Food Active’s Give Up Loving Pop (Gulp) campaign has been working with communities across the North West of England to raise awareness of the impact of excessive sugary drinks consumption and to build support for a sugary drinks duty. 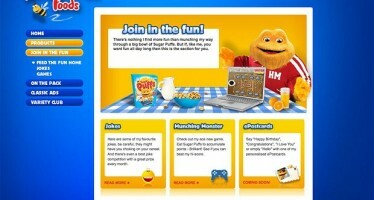 Most recently, as a result of the recent Health Select Committee inquiry into childhood obesity, Public Health England have released their analysis of the evidence for a national sugar reduction strategy; this addresses issues such as fiscal measures and acknowledges their potential impact. The Petitions Committee have agreed to hold a three-hour Westminster Hall debate- with MPs speaking for and against the introduction of a duty, and a response from a Government minister, from 4.30pm on the 30th November. Food Active would like to request you may consider the evidence in support of a duty on sugary drinks and consider taking part in the debate. In addition, prior to the debate, the Health Select Committee will be launching its report of their inquiry into childhood obesity at 3.30pm during a special briefing event hosted by Sarah Wollaston MP, chair of the committee.